Lok Sabha polls: Is Shashi Tharoor unbeatable in Thiruvananthapuram seat? Rahul Gandhi's decision to contest from Wayanad shows he has the confidence to win from both north and south India, senior Congress leader Shashi Tharoor said Sunday and asked whether Prime Minister Narendra Modi would have the courage to fight from a seat in Kerala or Tamil Nadu. 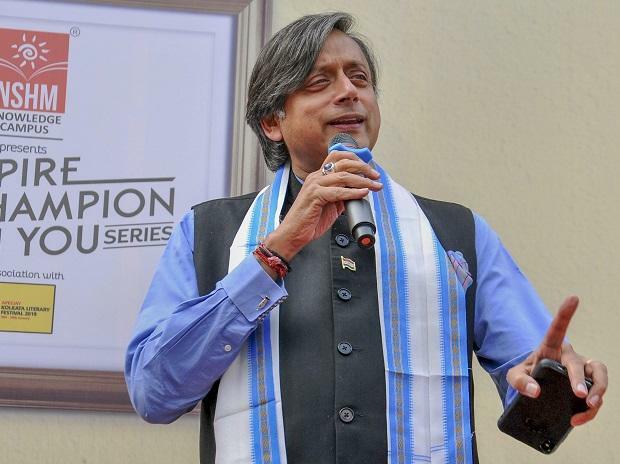 With Gandhi contesting the Lok Sabha polls from Kerala's Wayanad constituency, there is palpable excitement across the southern states that the next prime minister could be elected from the region, Tharoor told PTI in an interview. Tharoor also slammed Modi and the BJP for suggesting that Gandhi chose Wayanad to "run away" from majority dominated areas, saying the ruling party has repeatedly resorted to peddling bigotry. It was dismaying that this was coming from the prime minister, he added. "By reinforcing his role as a torchbearer for the BJP's bigotry, Mr Modi has disregarded the principled position that a prime minister of India must be a prime minister for all Indians," he told PTI from Thiruvananthapuram. Addressing a rally in Wardha in Maharashtra, the prime minister had said the opposition party was "scared" to field its leaders from constituencies where the majority dominates. Tharoor claimed Gandhi's decision to contest from Wayanad comes at a time of "unprecedented strain" on the spirit of cooperative federalism that has held the country together since its Independence in 1947. Under the BJP-led Centre, he alleged, relations between the southern states and the federal government have "steadily deteriorated" over a number of issues such as threats to the economic security of the south as well as the future of its political representation. In that context, Gandhi has made a bold statement of intent to suggest he can be the bridge that repairs the growing north-south divide within the country, Tharoor said, adding that it also signals that the Congress chief has the confidence to win elections in both the north and the south. "Can Narendra Modi make such a claim? Would he have the courage to fight for a seat in Kerala or Tamil Nadu?" the former diplomat turned politician asked. His remarks come after Gandhi, who is fighting the Lok Sabha elections from his traditional bastion Amethi in Uttar Pradesh, on Thursday also entered the poll fray in Wayanad by filing his nomination papers from the constituency in Kerala. Tharoor, who himself is seeking a third straight Lok Sabha term from Thiruvananthapuram, cited the "incredibly warm and rousing reception" Gandhi received in Wayanad and said it was reflective of the genuine spirit of celebration that has seized the south. Asked if the message of support for the people of south India that Gandhi wanted to convey by contesting from Wayanad was well received, Tharoor said, "I think it certainly has and today as a result of his decision there is a palpable excitement across the southern states that the next prime minister of the country could be elected from the south." Quoting Gandhi's statement that "south India feels hostility from Narendra Modi" and he wanted to send a message of support to the people there, Tharoor said a sense of confidence and reassurance is spreading across the region, including in Kerala and neighbouring Karnataka and Tamil Nadu. Asked if the move could create a 'Rahul wave' in the south, Tharoor said, "In Kerala, it has had an invigorating effect among our workers particularly those working on the ground and we are already seeing a ripple effect of this 'wave' spreading across neighbouring Karnataka and Tamil Nadu.
" arguably, the implications of his decision have not just been prompted by a strategic choice to energise the Congress workers, but by a larger sense of duty and commitment," the former Union minister added. Discussing the BJP's criticism of the move and the PM remarks at the Wardha rally, Tharoor said for the country to have a prime minister with such "well documented and blatant disregard for minorities" is one of the "greatest tragedies" of the five years of the present ruling dispensation. It is also a severe "blemish" on the record of the illustrious men and women who have held the post before him, he said. "But for all this bigotry, the BJP has still not managed to open their account in Kerala and their chauvinistic ideals have been repeatedly rejected by the people of the state," the 63-year-old leader said. According to him, Kerala's educated and inclusive electorate is once again going to offer "the same boot" to the BJP's hopes in the state. Tharoor asserted the Congress chief will be one of the rare leaders in the country who enjoys a clear and demonstrated popularity in both the south and the north if he wins from both Amethi and Wayanad. And, most important, the south will be galvanised by the fact that its concerns are unlikely to be ignored by such a leader, one who will walk into Parliament on the back of their support," he said. Asked if Gandhi's fighting from south also boost his credentials as a prospective prime minister, Tharoor answered in the affirmative. Gandhi's decision to contest from the south is part of a larger outreach to the southern states and to demonstrate his electability among the voters of the south, he said. At the same time, the Congress president is also reiterating the party's historic commitment towards an inclusive India, the author-politician said.